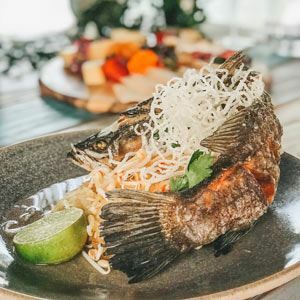 Showcasing the delights of Southeast Asian cooking and abundance of Queensland produce, Oaks Kitchen and Garden on Nancy Close at Oak Beach, serves up cooking classes and catering options. 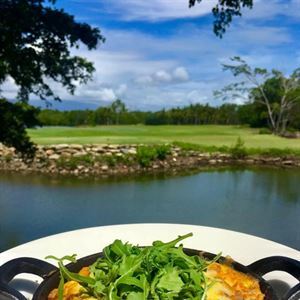 Set in four acres of lush natural surrounds, Oaks has developed a working garden to grow the vast array of organic produce used, ranging from Thai eggplant to kaffir lime. A fresh outdoor cooking area awaits where the sweet smell of jasmine lingers in the warm air, as students explore diverse cuisines using seasonal ingredients and newly developed skills. Hire a personal Chef to bring the passion of food and culture home, whether for a small gathering or big family event, or take advantage of street food catering options for corporate functions and pre-wedding snacks, with eight separate menus available. Street Food Catering option to 100 guests.